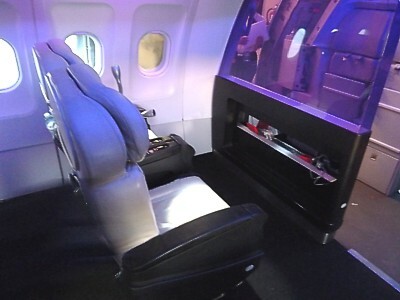 Virgin America offer upgrades from economy to first class within 6 hours or 24 hours to Main Cabin Select (MCS), if you check in online, To First Class from MCS these can be as low as US$160 east to west coast, or $50 up the coast, or $39 LAX-SFO. It is $300 to First from plain old economy, or $129 to MCS. This opens up a nice little loophole if you have to fly at short notice, and want a cheap first class ticket. Firstly, check First seats are available (they are on the online grid when you book). Then buy a Main Cabin Select (economy plus) ticket. Immediately go to manage your booking, and then pay the upgrade fee. On average, the seat will be about half price: a typical Main Cabin Select seat will be $350 from coast to coast. The upgrade fee is $160, bringing the cost to $510, as opposed to the typical last minute First ticket which can cost over US$1000. Shorter haul upgrades cost only around $50, but again they can be a bargain if you have luggage: with a bag costing $25, you pay an extra $25 and get a much better seat: a real bargain. 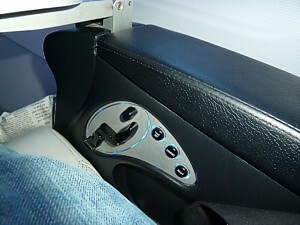 There are also upgrades to Main Cabin Select up to 24 hours before departure from economy, but these are poorer value. Beware through - it is easy to just go to online check in, and then become checked in already: make sure you go to the select upgrade option, or just go through to manage your booking. The Virgin America website is a lovely, slight fast moving site which just shows what you can do from scratch. Alas, there isn't a mobile site, and some parts of the site just vanish if you are using a down-level browser.